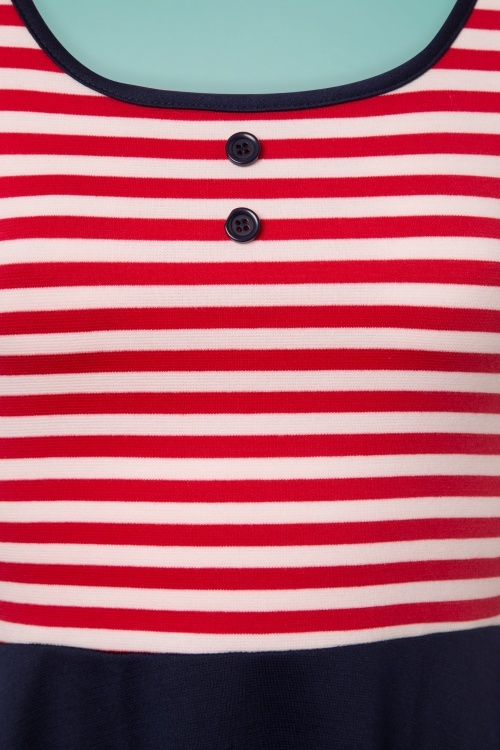 If you're in between sizes and have a full cup (D+) , we recommend ordering up for a nice fit. The fabric is stretchy. ''All aboard!'' 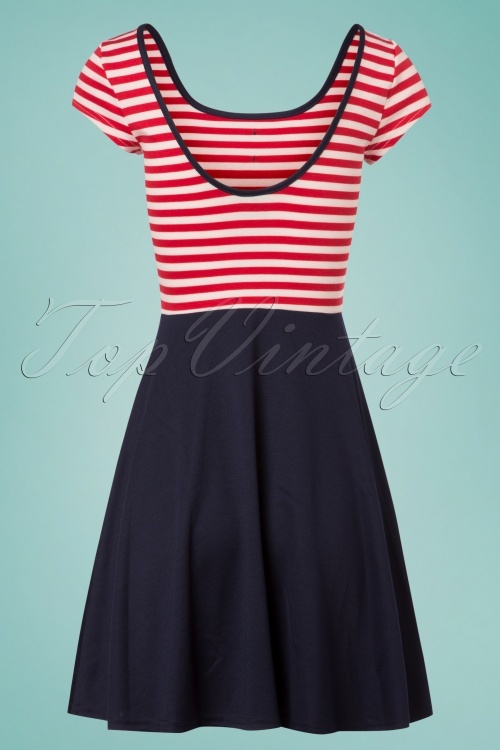 You're completely sailor proof in this 60s Salty Sailor Skater Dress in Navy and Red! Ahoy captain! 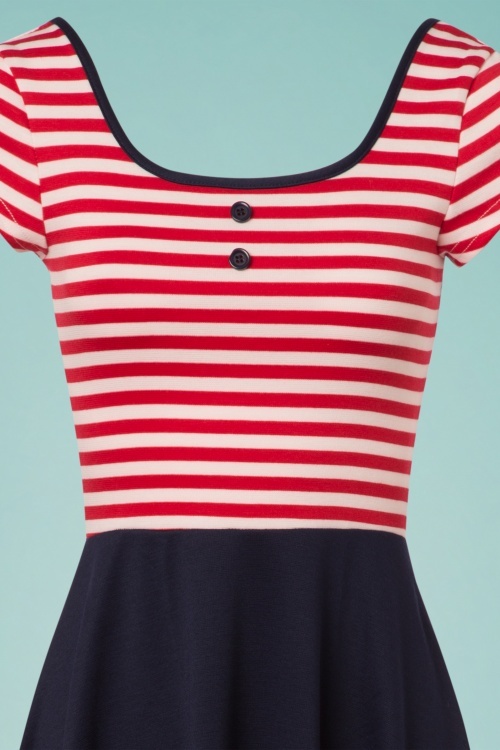 You'll be completely sailor proof thanks to her fitted bodice featuring classic red and white stripes, short sleeves and playful decorative buttons in blue. 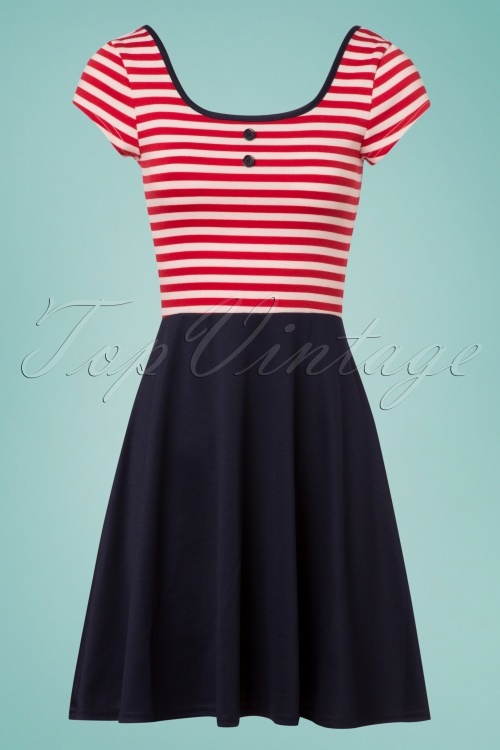 But it's the flowy semi-swing skirt in navy that will make every sailor turn his head! While the supple and stretchy fabric makes her super flattering for every body type. 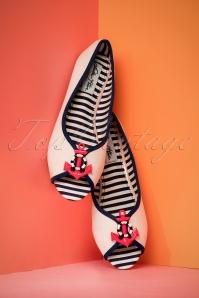 This ship has sailed and we are sold on this beauty! Hits above the knee at a height of 1.70m /5'7"
In deze prachtige en stijlvolle, kleurrijke kledij ga ik nergens onopgemerkt voorbij. 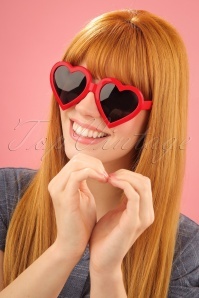 Mensen kijken me bewonderend aan en in velen hun blik herken ik een zweem van sympathie en heimwee. ICH LIEBE ES ... und liebevoll verpackt ! Ich brauche nichts verändern , Daumen nach oben .